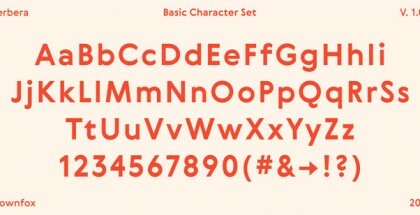 Adagio Sans font is a contemporary Sans Serif font with a very strong character and distinctive appearance. 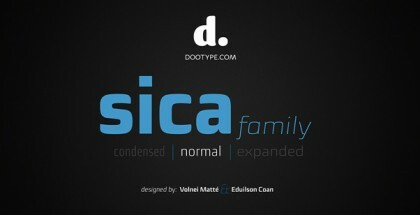 It was inspired by classical English typefaces and the humanist feeling they have with their clear and pure look. The designer employed different means to achieve his goal – sharp chamfers, large x-height, stretched descenders etc. Altogether Adagio Sans’ features like proportions of capitals, strong detail and delicate contrast make it perfect for long texts as well as titles and headlines. Designed by the Polish type designer Mateusz Machalski of Borutta type foundry, Adagio Sans font is a part of a larger family that also includes Adagio Serif and Adagio Slab. The idea behind the creation of this modern typeface family was to give to the users, especially companies, wide range of opportunities and means to achieve great results. In order to attain that Machalski provides every font with a respective Italic set as well as over 400 characters in 9 different thicknesses. 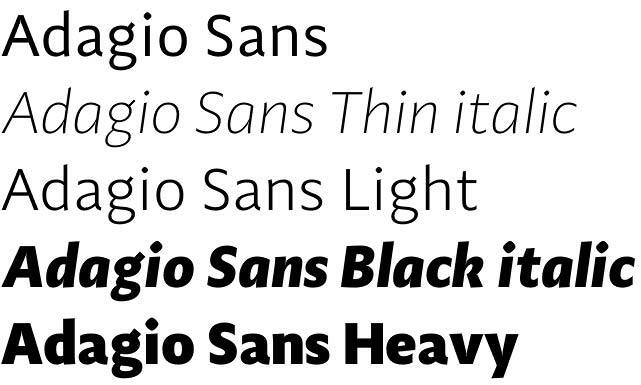 Get Adagio Sans and enjoy wide range of opportunities!